ROBIN LEIGHTY SCOTT added a comment on her Profile. ROBIN LEIGHTY SCOTT has a birthday today. RANDY KELLEY posted a message on ROBIN LEIGHTY's Profile. ROBIN LEIGHTY SCOTT added a comment on SHELBA WICKLINE Stebelton/divorsed now's Profile. ROBIN LEIGHTY SCOTT posted a message. New comment added. 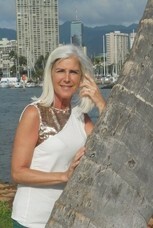 ROBIN LEIGHTY SCOTT updated her profile. View. Welcome James! I see that you live in Highland, IL....I live south of St. Louis. How do you like living in Highland? We like the Blue Springs Café there. ROBIN LEIGHTY SCOTT posted a message on RANDY KELLEY's Profile. Welcome to this group Randy! ROBIN LEIGHTY SCOTT posted a message. ROBIN LEIGHTY SCOTT added a photo to her profile gallery. New comment added. Great to see you again Peggy!